/ Modified jan 4, 2019 12:37 p.m.
Stakeholders and developers are fleshing out a community benefits agreement. Fourth Avenue facade of The Flycatcher bar, which will be redeveloped to make way for apartments and retail, June 2018. 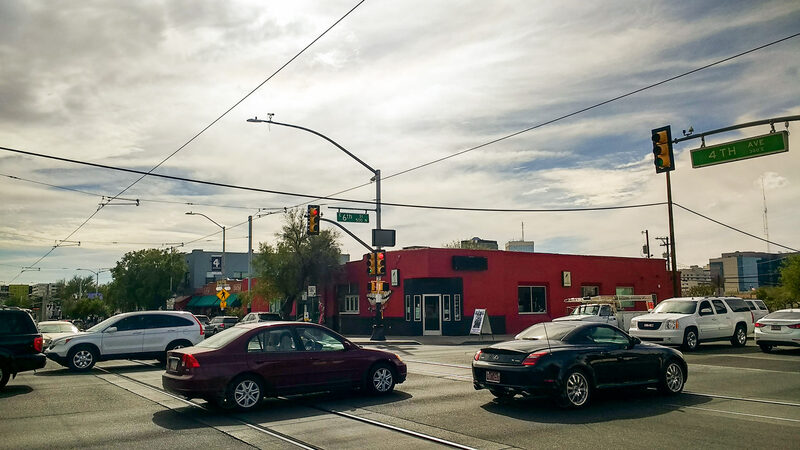 As the year 2018 draws to a close, residents and business owners along Tucson's Fourth Avenue continue to fight to preserve the area's character as a developer moves forward with plans to build a multi-story, mixed-use complex. As Arizona Public Media reported in February, the Union on Sixth development would combine 250 apartments and ground-level retail space in one building south of Sixth Street, between 4th and 5th avenues. 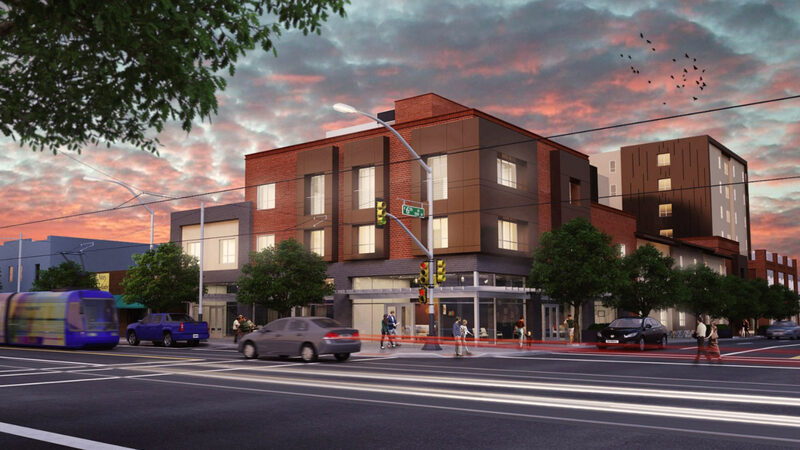 The project quickly drew opposition based on initial news reports, such as one that characterized it as "another student housing complex in the works, this one seven stories in place of the Flycatcher bar just off 4th avenue and 6th Street." Attorney Rory Juneman says that's not accurate. "This is not a seven story structure on 4th avenue where the flycatcher currently is," Juneman said. Juneman represents the company behind the project, now called Greystar, which is also the company that built two of Tucson's high-rise student housing projects. He says reports that they want to replace a one-story bar with a seven-story monolith are just wrong. "We don't get to seven stories until about 200 feet back from Fourth Avenue, and in between there's a five-story component to our structure," he said. But just as controversial as the size of the building is the question of who would live in it. City Council member Steve Kozachik, who represents the area, said Tucson does not need another off-campus student-housing project. "Every time we see a student-housing tower go up, the surrounding area just girds their loins because we know we're going to have problems. So, no, I'm not happy with the fact that they are proposing yet another student housing project," Kozachik said. The Flycatcher, 340 E 6th St., is slated to be replaced by apartments and retail. A rendering of a planned building at the corner of Fourth Avenue and Sixth Street near downtown Tucson. He and many of Fourth Avenue's business people and customers fear the development will draw college students who will displace the tourists who visit the bars, vintage boutiques and pottery shops along the avenue. Juneman says the plan calls for an apartment complex targeted at graduate students and young adults. "From a marketing standpoint, our client really has those true student-housing products in their portfolio here, and in Tucson they see a demand for something a little bit different. And so they're constructing that in a way that really meets that demand, people that want to live alone or maybe with another roommate," Juneman said. 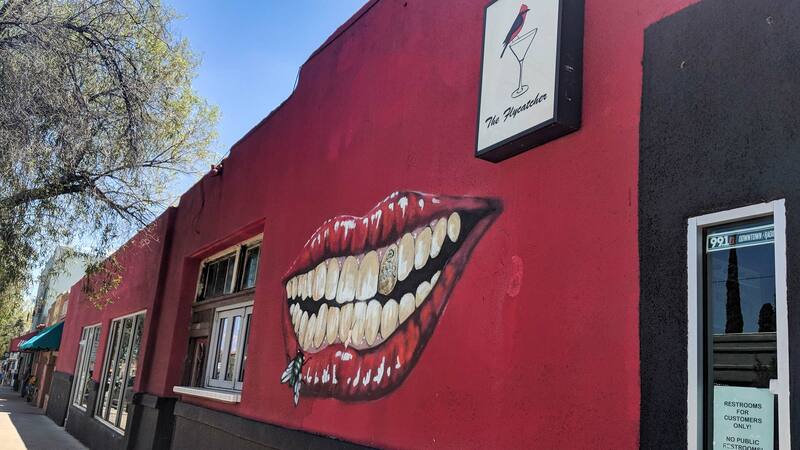 Since AZPM's original report 10 months ago, The Flycatcher bar has closed, and both sides — developers and Fourth Avenue stakeholders — have found a way to come together over their differences. Council member Kozachik says a new nonprofit called the Historic Fourth Avenue Coalition is negotiating with the developer on a community benefits agreement, or CBA. Kozachik says the CBA can't stop or scale back the project, but it can make small changes to ease neighborhood concerns. 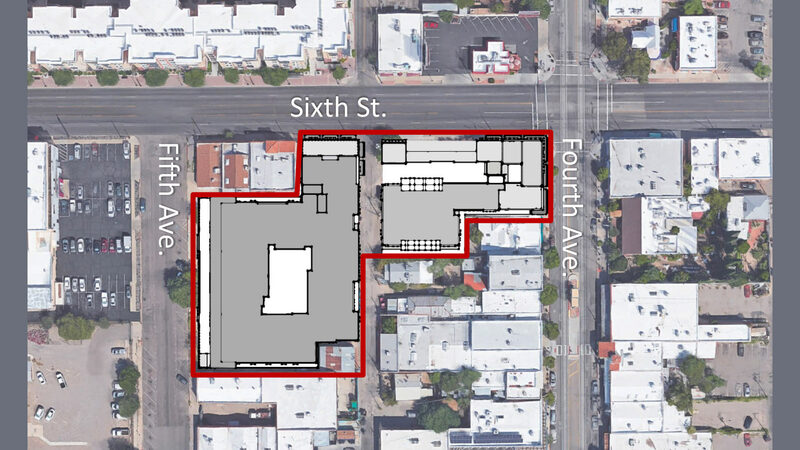 The red outline shows the outline for the footprint of new development called the Union on Sixth, whose construction would mean demolishing The Flycatcher bar. "It may serve as a template moving forward for developers who are not asking for a lot, but do have some incentives on the table. And in order for them to sort of smooth the ground work with the community to form a CBA with the surrounding neighborhoods and businesses," he said. Attorney Rory Juneman said his developer client has already agreed to several steps, such as "agreement to use local artists on our murals, agreement to keep certain standards for streetscape maintenance, things like that. I think more importantly we've agreed to have local businesses in our development commercial space. That was extremely important to the neighbors." Juneman says while the Union on Sixth has been delayed from its original timetable, the development is still on track to be finished in a couple of years.